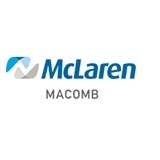 Mclaren Macomb Primary Care (Sterling Heights) - Book Appointment Online! *NEW PATIENTS PLEASE ARRIVE 30 MINUTES PRIOR TO SCHEDULED APPOINTMENT* Bring insurance card and a picture ID. Any medications you are taking, please bring in. Our providers do not dispense controlled medications or "psych" medications. They refer out to Specialty for those medications.